… A few years later, Louis Bleriot, the pioneering channel crossing French aviator, crash landed his aeroplane in northern France. As a temporary measure he wheeled his damaged aeroplane into a farmers steel cattle shed made by REIDsteel – The word “Hangar” back then was loosely interpreted as “cattle pen”. Subsequently Louis Bleriot ordered three more “Hangars” which were built at Lamotte-Beuvon and thus started REIDsteel’s aeronautical buildings enterprise. 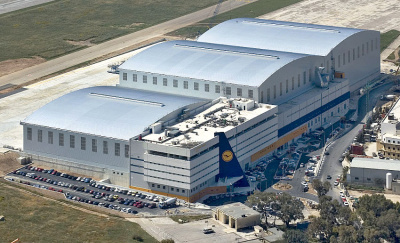 Now we build some of the largest aircraft hangars available for major airlines, aircraft maintenance companies, airfields and individual clients the world over. 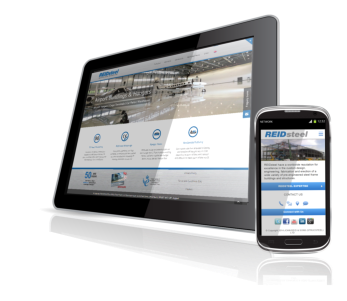 Today, some 100 years later, REIDsteel is a formidable structural steel engineering company which has been manufacturing and erecting large commercial buildings, aircraft hangars, grandstands, bridges, process plants, car parks and many other structures worldwide for all of those years. The key to our success is that we design, manufacture and erect all the elements of our buildings; from the steel structure, the roof and the cladding, to the windows and doors – furthermore we have shipped our work all over the World. Even now a large proportion of our production is exported to places as far apart as Iceland near the Arctic Circle and Raratonga in the South Pacific; to Russia, Asia, Africa, the Middle East and Mediterranean countries, some of the mid Atlantic Islands and almost all the Caribbean Islands and Central and South America to its southernmost tip. Also we specialise in designing for the impact of extreme weather such as earthquakes, hurricanes, tornadoes and tsunamis. Our buildings are renowned for being some of the safest structures in some of the world’s most dangerous places including war zones and areas with limited infrastructure. This expertise earned us recognition in the form of the Queen’s Award’s for Enterprise (international Trade) four times to date. Keeping up with progress means accommodating new technologies and practices – Aircraft are getting bigger as are their maintenance requirements yet environmental footprints are expected to shrink. Modern aircraft hangars need to be flexible enough to sustain long term use and such adaptability can be anticipated with custom designs, which is where REIDsteel can call upon their 100 years of experience to full effect. Closer to home we are in the process of modernising our websites, some of which have been around since the turn of the century! – A fresh new look and technology to cater for the rapidly increasing mobile market are the main focus. In the future, when you access our websites on a mobile enabled device you will be automatically redirected to a special mobile version of our website.